HTC One A9 comes with a 5.0 inches Capacitive Touchscreen	display with a screen resolution of 1080 x 1920 pixels. Display type AMOLED. The smartphone makes use of an Octa Core 1.5 GHz Cortex-A53, Qualcomm MSM8952 Snapdragon 617 that is coupled with Adreno 405 GPU,	3 GB RAM and 32 GB storage default memory capacity. This storage can be expanded up to another Up to 128 GB	with the help of a microSD Card. For imaging, the HTC One A9 sports a 13.0 MegaPixels Camera with Yes, 1080p@60fps, 720p@120fps, HDR, Geo Tagging. Up front, the smartphone from HTC makes use of a 4.0 MegaPixels Secondary Camera selfie camera. The connectivity aspects on board the HTC One A9 includes Yes, Wi-Fi 802.11 a/b/g/n/ac, dual-band, Wi-Fi Direct, DLNA, hotspot, Yes, v4.1, A2DP, apt-X, Yes, microUSB v2.0, Yes, with A-GPS, GLONASS. The HTC One A9 gets the power from a Non-removable Li-Ion 2150 mAh battery. The HTC One A9 runs Android OS, v6.0 (Marshmallow), upgradable to v6.0.1 (Marshmallow). The smartphone is priced at Rs. 32,600. The device is available via Flipkart and leading offline stores. HTC One A9 update comes with a software version 2.18.707.1 and is little more than 1 GB in size. The update brings along Android Nougat (version 7.0). HTC launched One A9 smartphone in India at a price of Rs. . Check out the full specifications and its features. HTC has sent out invites for the launch of device on the 25th November. 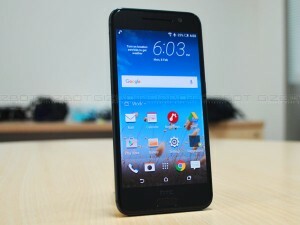 Furthermore it is believed that the device in question is none other HTC One A9.